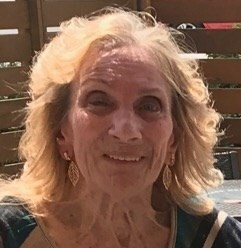 Chari L. Carletta, 74, of Cicero, NY passed away peacefully in her home surrounded by her loved ones on November 26, 2018, having courageously lived 22 years with quadriplegia. Born October 22, 1944 in Syracuse NY, to the late Mildred Johst and Norman Prouty, she attended Phoenix High School. Chari lived a fascinating life that included being a Private Investigator for Dey Brothers, a Respiratory Therapist at Crouse Irving, and a Physical Therapy tech. She traveled cross-country with her former husband and member of the band Sail, was a professional horse trainer/riding instructor, and had the opportunity to ride the Florida State Champion Tennessee Walker. She was attending St. Joseph’s Nursing College before her accident in 1996. In spite of her injury, she went on to attend OCC toward a degree in counseling, as well as lobbied for video camera surveillance protection of adults living in group home settings in honor of her brother. She is survived by her Sister, Rebecca (Brad) Mitchell (Johnson) of Lansing, MI; Brother Mike (Lina) Moore of Pompey, NY; Step Father, Clifford Moore; Nephews, Benjamin and Jonathan (Elizabeth) Mitchell; Nieces Sarah (John) Tennefoss, Katelyn Moore, Jennifer (Benaiah) Adams (Moore); Uncle, James R (Bernice) Johst, and several cousins; dear friend of 22 years, Lois Roberts of Chittenango; caregivers turned friends, Mystika Armstrong, Peg Dolan and all her staff through ARISE. She was predeceased by her Brother, Norman Timothy Prouty, several aunts, uncles, cousins. Visitation will take place Friday December 21st, 4-7 pm at New Comer Cremations & Funerals, N. Syracuse. A funeral mass will be held Saturday, December 22nd at 9:30 AM at Sacred Heart Church, Cicero. Burial to follow at Greenlawn Memorial Park Cemetery in Warners, NY. To share a memory of Chari or leave a special message for the family, please click the Share Memories button above. Add your memories to the guest book of Chari Carletta. Chari and my mother Sandy were cousins. I have many fond memories of Chari loving her pets, but especially her beautiful horses. May she now rest in peace. Chari and I were friends for many years. We shared our love for horses, and showed at many of the local shows together. She was a joy to know, and will be missed. She was a very brave lady, especially after her riding accident. I will treasure her memory in my heart. We were married for over 20 years and although we separated I wished her well. She loved all animals and had many pets but her love of horses was amazing. She should not have suffered the way she did for so long. Now the suffering is over and she in God's hands.